Probably the last bloggers’ update. Enjoy! Thanks to all for a terrific, educational and fun conference. This is the first one I have attended where I had something to do with its organizational success. I am awed how it all came together. 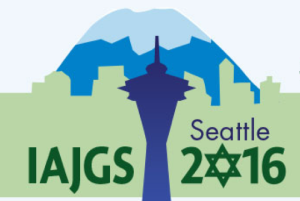 The co-chairs, committee leads, committee members, IAJGS representatives, local JGS, speakers, bloggers, event organizers, etc, etc. So many small pieces build a complex whole. Congratulations to all. Previous PostWe keep on writing! Please keep on reading!Next PostOne more time!